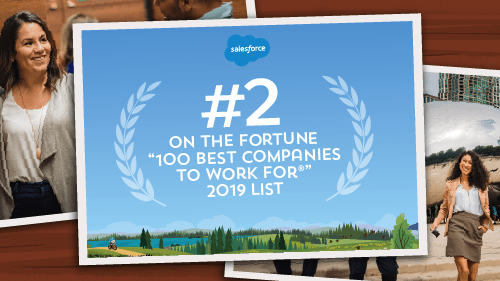 As President and Chief People Officer at Salesforce, I'm honored and humbled that our company is on the FORTUNE “100 Best Companies to Work For®” list for the 11th year in a row. 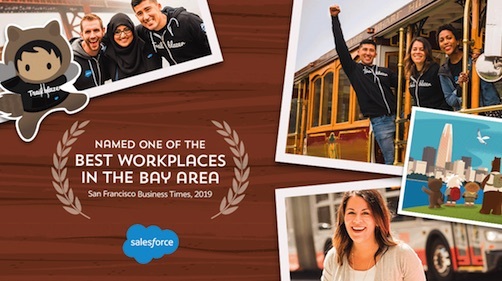 The thanks for this recognition goes to our employees who create a great place to work for each other by living our values of trust, customer success, innovation, and equality every day. We're grateful to be recognized, but know that our work building a great workplace is never done. We continue to listen deeply to our employees, our customers, and all of our stakeholders to learn where we can improve and how we can continuously innovate on our culture. I recently attended the World Economic Forum in Davos, Switzerland. While there, I was in deep listening mode — to our customers, to leaders from across the globe, and to the youth who will be the future workforce. There were many thoughtful discussions taking place around incredibly important topics such as inequality, climate change, and the rise of AI, but the theme that permeated throughout was trust. When it comes to the state of trust in the world, the world looks to the Edelman Trust Barometer. This report is an annual global survey that measures sentiment about the state of trust across businesses, government, NGOs, and the media. Over the years, where people have chosen to place their trust has moved from NGOs to Media to Business to Government etcetera. For the last decade, we’ve seen declining trust across all institutions. People have decreasing confidence that societal institutions will help them navigate a turbulent world, so they are turning to a critical relationship that's closer to them: their employer. The 2019 Edelman Trust Barometer revealed a massive shift in the trust landscape with 75% of global respondents now placing trust in “my employer” — 19 points more than business in general and 27 points more than government. So, why are people shifting their trust to their employer? The Edelman report explained it's because employees believe they can influence what happens at their company. They want to be heard, and they want the opportunity to rewrite the rules. What does that mean for leaders? Leaders need to turn into advocates and champions of all employees. We need to provide a psychologically safe environment for our employees to speak up and be heard, and we need to ensure we are engaged in the conversation. If our people don’t feel heard, or they believe they can’t influence — they will lose trust. Our employees trust us with their careers. They trust us to pay them fairly. They trust us to take care of them. And, they trust us to do the right thing. We're fortunate that trust has been our #1 value at Salesforce since day one and remains our North Star today. Over the last few years, we've taken a stand on equality, equal pay, and ethical and human use of our product. We've done our best to listen to employees and to respond with authentic and courageous leadership. That doesn't mean we have all the answers, or that we always get it right; it just means we're willing to listen to co-create the future with our employees. Building a culture of trust is at the heart of how companies earn a place on the FORTUNE “100 Best Companies to Work For®” list. To determine placement on the list, The Great Place to Work Institute measures the behaviors that lead to a trusting workplace environment — what they've found to be the most critical factor for creating a great workplace — with its Trust Index Survey. 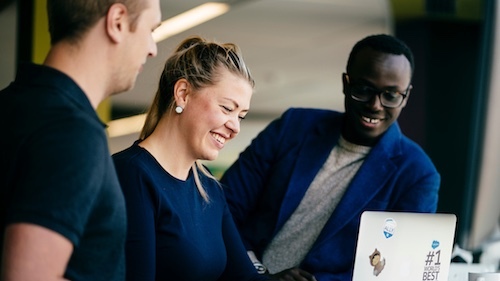 We're grateful that the positive ratings our employees give us on their experiences working here result in Salesforce's high rank among so many other great companies that place a high value on building a culture of trust. To learn more about our culture and how we build it, visit the Salesforce Ohana Culture Trail on Trailhead. Visit the Newsroom for more on how Salesforce achieved this ranking.